Where can I get IBM MQ 9.1.2 from? What’s new in MQ 9.1.2? IBM MQ 9.1 Long Term Support. Latest available fixpack is 9.1.0.1. IBM MQ 9.1.2 CD release. i.e. this release. IBM MQ 9.1.1 CD release. IBM MQ 9.0 Long Term Support. Latest available fixpack is 9.0.0.5. IBM MQ 8.0 Long Term Support, with End of Support (inc. MQ Appliance firmware) announced for 30th April 2020, so start thinking about moving to a newer release. Latest available fixpack is 8.0.0.11. On the MQ Appliance you now have a choice of whether to follow the Long Term Support or Continuous Delivery path for updates. New MQ Appliance M2002 models will ship with the LTS firmware onboard by default, but you can move at any time to the CD firmware if there is function of interest. The MQ for z/OS 9.1.2 PTFs will be available soon. Search for APAR PH07798 for IBM MQ for z/OS, APAR PH07800 for MQ Managed File Transfer for z/OS and APAR PH07799 for MQ Advanced for z/OS Value Unit Edition. MQ Appliance: The IBM MQ Appliance firmware image can be obtained from Fix Central and applied to the M2002, M2001 and M2000 hardware models. IBM MQ on IBM Cloud: IBM MQ on IBM Cloud managed service, which has 3 pre-configured queue manager sizes, a Lite (Trial) plan and options for placing the queue manager in an IBM Cloud or AWS data center. Version 9.1.2 adds the ability to use zHyperWrite, when writing to active log data sets that have been configured for synchronous replication. zHyperWrite can speed up IBM MQ log writes by removing some of the time required for the synchronous replication of data. To optimize the performance of the messaging REST API, connections to IBM MQ queue managers are pooled. That is, instead of each REST request creating, using, and destroying its own connection, each REST request uses a connection from a connection pool. MQ V9.1.2 supports XA coordinated JMS applications running in WebSphere Liberty Profile to connect to one of a set of queue managers. Multiple transaction connections can be workload-balanced across multiple queue managers, removing the requirement for a single queue manager to always be available. This increases the applications ability to scale and to be more highly available while maintaining the global transaction integrity and assured delivery of MQ. WebSphere Liberty 18.0.0.2 or higher is required. 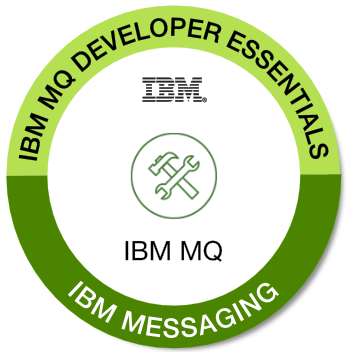 The MQ V9.1 LTS release allows message delivery to Message Driven Beans (MDB) that run in WebSphere Application Server to be paused in the event of a poisoned message being detected. This CD release provides the same capability for WebSphere Liberty. The ability to create a new file transfer is added to the MFT REST API. Version 9.1.1 delivered support for .NET Core for applications in Windows environments. From V9.1.2, IBM MQ supports .NET Core on Linux platforms in addition to Windows platforms. The MQ Appliance firmware integrates the MQ queue manager error logs with the system log targets to provide a consolidated logging mechanism for both MQ and system events on the platform. This integration enables MQ queue manager error log information to be streamed to external monitoring tools. The MQ Appliance firmware also includes support for MQ queue manager error logs to be output in JSON format, consistent with other deployment platforms. *New* We have been busy improving the information available to developers, especially those new to IBM MQ. In this latest update we look at common messaging patterns of put/get, publish/subscribe and request/reply, and have samples implemented in 5 programming languages that you can mix up to see the patterns in action. The LearnMQ site is regularly updated with a mix of tutorials and essential getting started information, and offers you the opportunity to earn an IBM MQ Developer Essentials badge. A number of MQ components are made available on IBM Fix Central and elsewhere for ease of download. Below are the links to the available components. Where applicable, they will show the latest V9.1 Continuous Delivery (CD) and Long Term Support (LTS) updates for each component. Be sure to know which you require! This is a relatively new option for those who want to develop MQ applications on macOS. The client is also used in our LearnMQ tutorials as described above. Tip: Try opening the links in a private browsing tab if they don’t correctly resolve. The system requirements are documented at the links below. IBM MQ 9.1.1 is being made available on z/OS, Microsoft Windows, Linux on x86-64, Linux on IBM z Systems, Linux on Little Endian Power (RHEL, SLES and Ubuntu) and AIX. What function has released in previous updates?